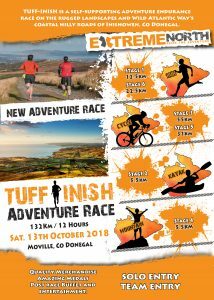 New Tuff-Inish Adventure Race 12hrs. 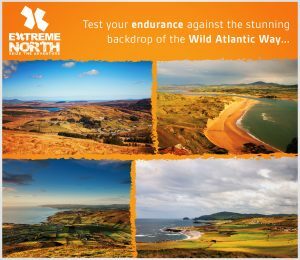 Delighted with the feedback on our new 132km/12hr Adventure race. It will be a “Tuff” challenge albeit a scenic and very memorable one.Early Bird is now open and you can enter teams of 1,2 or 3 persons. The event will have all the trimmings of a major event and more so get registered and get training. We’ll make this the highlight of your 2018 Adventures.